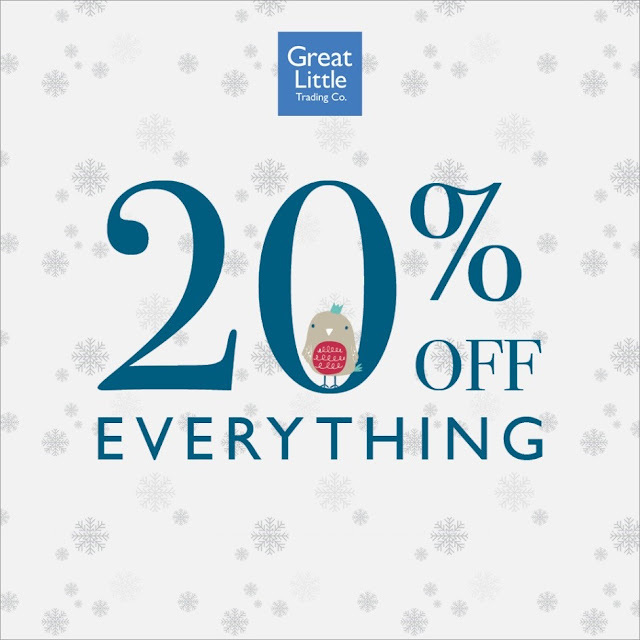 20% off everything at GLTC this weekend! Calling last orders! For those who are still doing their Christmas shopping (there's always a last minute panic shop!) then don't fear. There's still time to order your Christmas gifts from GLTC with last orders on Standard Delivery on Monday 18th December. Plus this weekend there's 20% off everything too! Includes stocking fillers, wooden toys, storage, bedding, accessories and furniture. Offer ends Monday 18th December. Last orders on express delivery will be Thursday 21st December.